We’re happy to announce the FINAL batch of single day tickets for Auto Assembly 2009 is now on sale! If you can only attend either the Saturday OR the Sunday, this really is your LAST CHANCE to guarantee yourself a ticket. For full details and prices, head to our transformers forum. 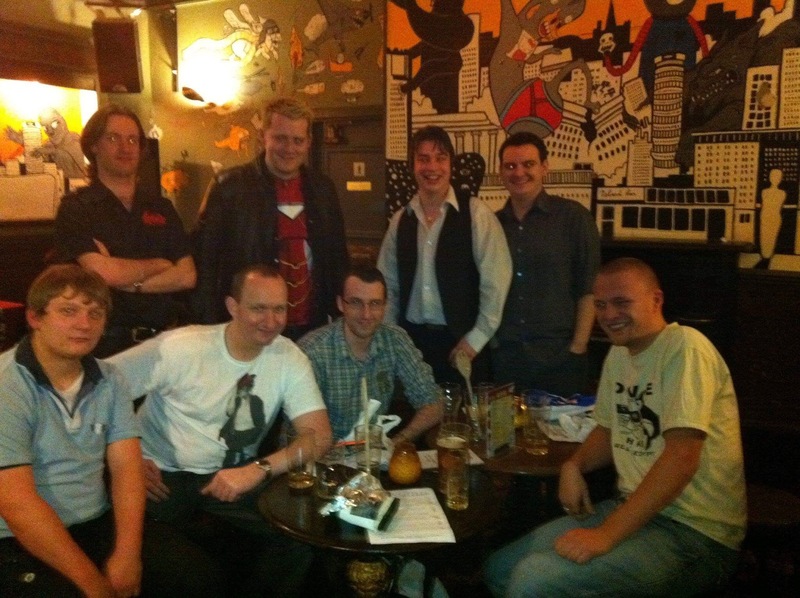 More Auto Assembly 2009 Info – Another Guest? 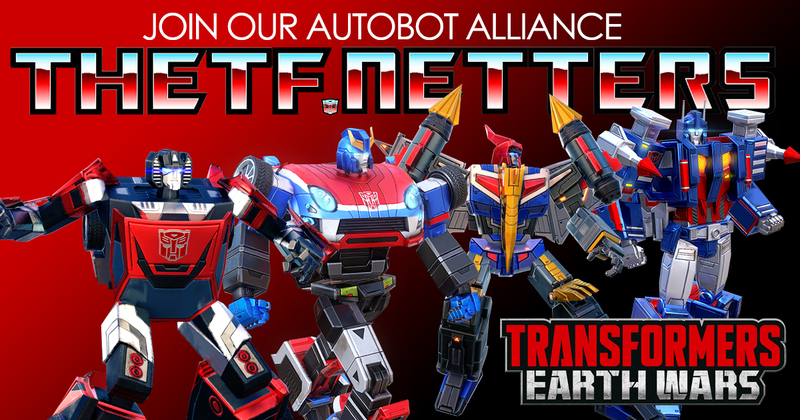 Simon Plumbe from Auto Assembly got in touch with TheTransformers.Net again recently and sat down for a follow up to our recent interview. So Simon, you’ve confirmed Gregg Berger and Ian James Corlett which is pretty awesome, but from our recent conversations you’ve told me that you’re now talking to a THIRD voice actor for AA 09? A. Absolutely! 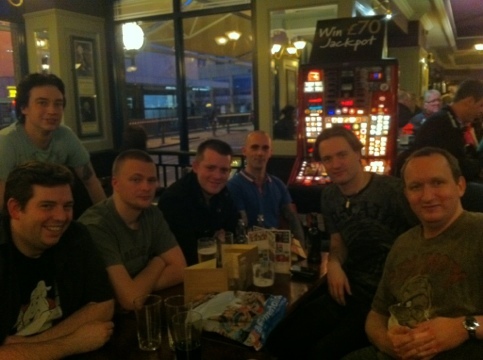 I’ll be honest though and say that this is entirely down to the attendees. I have been in talks with different sponsors to try to raise money towards getting more guests for the convention, but ultimately it is going to be a case of everything extra being funded from pre-registrations. I have been talking to an actor for a while who is ready to come over and join Ian and Gregg and at a rough guess I would say that if we can get about 500 pre-registrations then we will be able to afford to get them! Spill; who’s it gonna be? 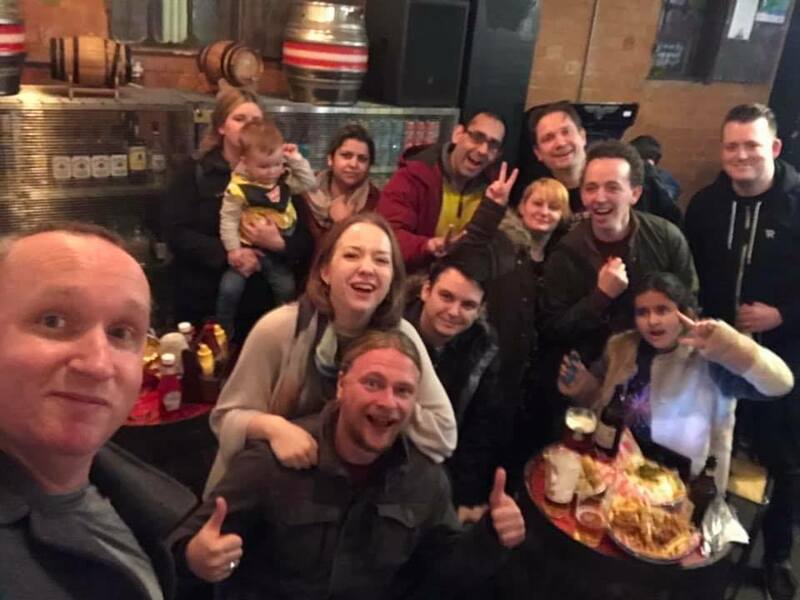 A. I can’t say right now, but what I CAN say is that we are looking at trying to bring a former Auto Assembly guest of honour back, but it’s all dependent on YOU guys to make it happen! *ponders* AA08 was my first convention but I’m sure some of theft.netters will be compiling a list of previous attendees as we speak! Onto competitions; last year you had a free prize draw for all pre-registrants to win a ticket for this year’s convention. Are you planning on doing the same this year? The first of these is what I am calling our “Milestone Draw”. Over the last few years, we have set various attendance records for Auto Assembly, and I want to acknowledge these by rewarding those attendees to help us reach those figures again. Quite simply, when a person registers and their ticket number matches each of these key numbers then they will receive a FREE ticket to Auto Assembly 2010!! 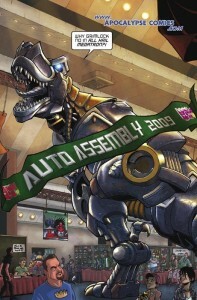 Auto Assembly 2009 Exclusive Comic Cover – Coloured Version! 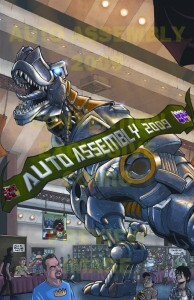 The guys at Auto Assembly have revealed a full colour version of their exclusive Auto Assembly 2009Auto Assembly 09 Exclusive Cover cover for IDW’s Transformers All Hail Megatron #13.The cover, which is done in association with Apocalypse Comics, and is limited to only 1000 copies, pays homage to Jurassic Park and is done by Nick Roche with colours by Liam Shalloo. Doesn’t it look good? Adding the finishing touch to Nick Roche’s pencils is the fantastic colours of Liam Shalloo to bring you this fantastic tribute to Jurassic Park and featuring Grimlock (both of whom will be attending the convention and who can sign the comic for those of you who buy it along with G1 voice actor Gregg Berger)! The comic is being produced for Auto Assembly 2009 by Apocalypse Comics and will be available during the convention weekend from their table. Sales will limited to a maximum of just TWO per attendee while stocks last as there are only 1,000 copies being printed of this book! 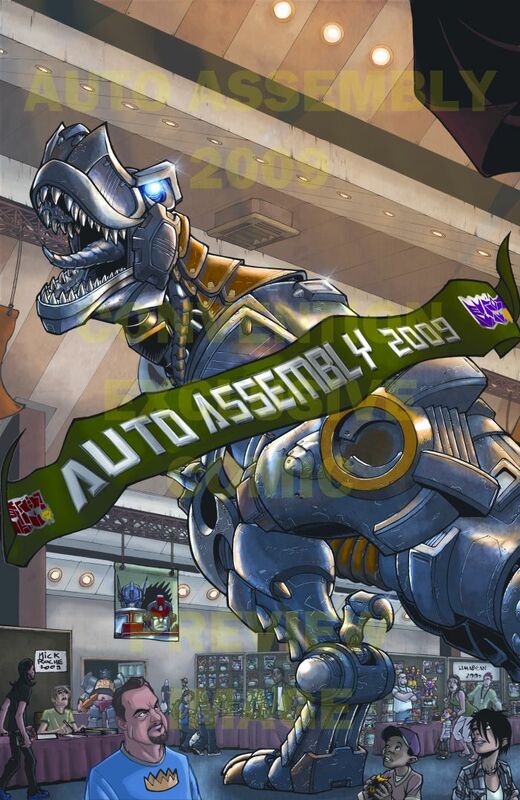 Auto Assembly 2009 is set to be a record-breaking convention for European Transformers fans and this is one convention you don’t want to miss! Two more guests are now confirmed to be at the UK’s only dedicated Transformers convention, Auto Assembly 2009. Artists Lee Sullivan and Mike Collins will again be making an appearance, joining in with the comic panel and signing the weird and wonderful things fans tend to bring.